your opponents can't use them against you! 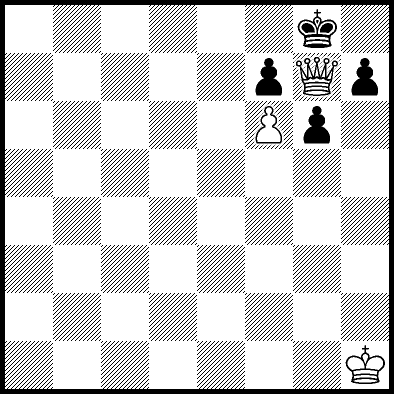 The idea of a rook or queen in the corner of the board supported by a bishop on the long diagonal happens a lot. 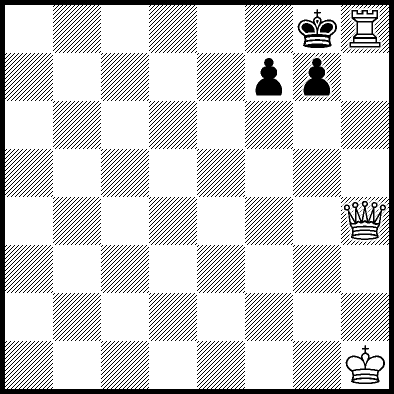 If you have to advance a pawn in front of your king (for example, to prevent back rank mate) it's usually a bad idea to move the middle pawn if your opponent has a bishop on the long diagonal. 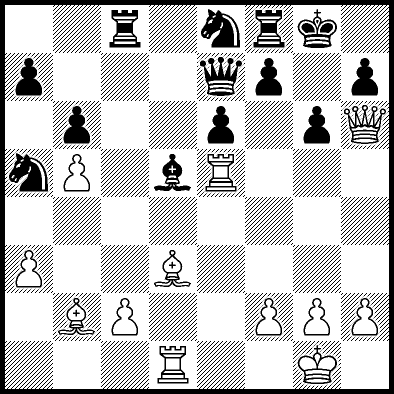 Surprisingly for such a dramatic checkmate, this pattern of queen on the a2-g8 diagonal and knight attacking f7 happens a lot. 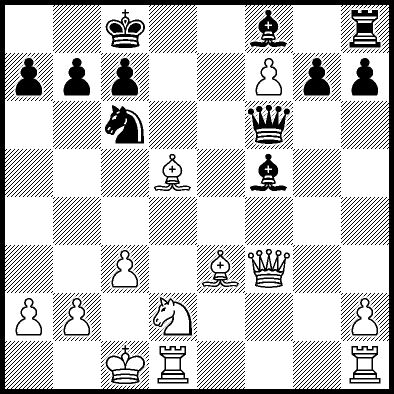 It's just one jump for a knight on f3 to attack f7, and Black often moves his f-pawn to attack the centre. 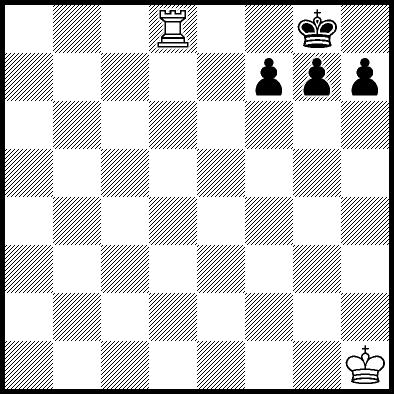 Note that Black can't take the knight on his first move because it walks into a back rank mate. This idea of combining a simple checkmate with one of these less common ones is a good tip to bear in mind when you're planning combinations. This checkmate doesn't come up very frequently in practice, but is still a useful pattern to remember because there are many similar ideas. 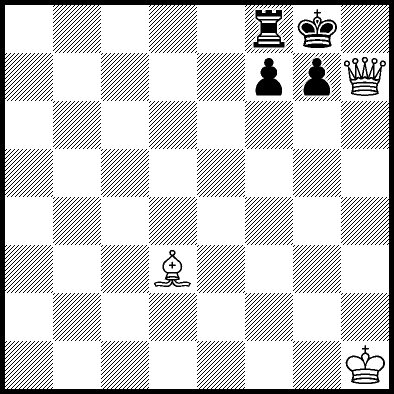 In particular, the knight check forcing the king into the corner is often useful: in the endgame it can gain a valuable tempo since the king must waste time coming back into the centre. Again, this rarely comes up in practice, but the idea of a bishop restricting the movement of a king that has queenside castled is a useful one to remember. Note: all of these problems feature queen sacrifices, but that's not really important. Instead remember the arrangement of pieces in the final mating position, and in your own games plan how you can get your own pieces onto the right squares. If that plan involves a queen sacrifice then you'll almost fall off your chair in excitement, but in practice quieter moves are usually stronger. The positions to illustrate these checkmates were taken from the Checking and Checkmating section of Mark Lowery's Exciting World of Chess, where you can find a larger collection of exotic checkmates. 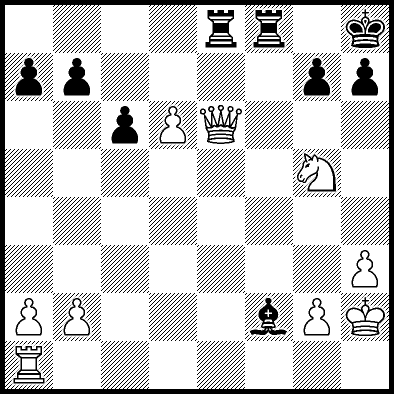 Trying to find the winning combination in tactic puzzles is an excellent way to improve your game. 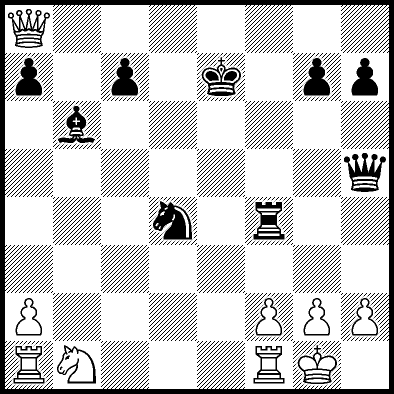 A chess lesson written by Joe Leslie-Hurd on 23 November 2004.